All of the strength, with a little extra polish. 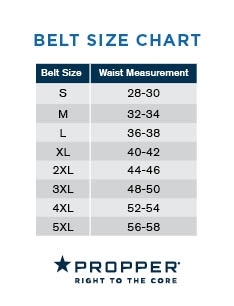 The Propper® Tactical Belt offers a metal buckle with a sharp black oxide finish and heavy-duty 1.5 inch-wide nylon webbing for durability and flexibility. Adjust the fit for comfort.